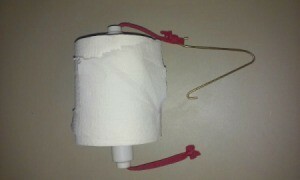 Do you have a paper toilet holder that needs replacing? Well here is a quick fix for the time being. You can make one with things laying around your home. 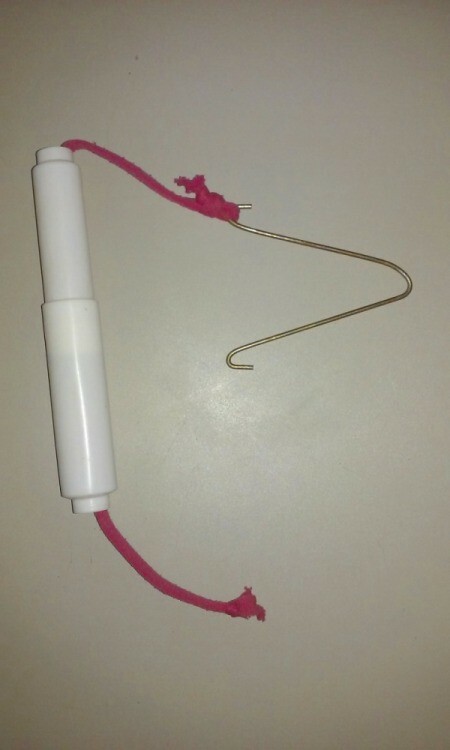 Take the pliers and cut the hanger in half. 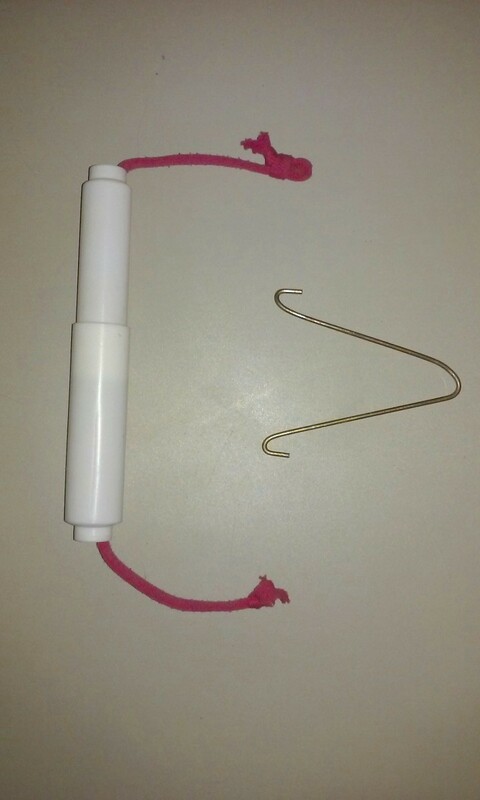 Use the tip of the cut hanger to push the stretchy chord through the toilet paper spool. After the chord has been pulled through and the ends are sticking out of both ends tie them off in a little knot on the ends. Take the pliers and curl the ends of the hanger upward and then place the chord end, which is now tied off in loops, onto the end of the hanger end which is curled facing upward. Place a roll of toilet paper on to the spool and place the other end of the chord onto the hanger end that is curled up and hang on a nail.